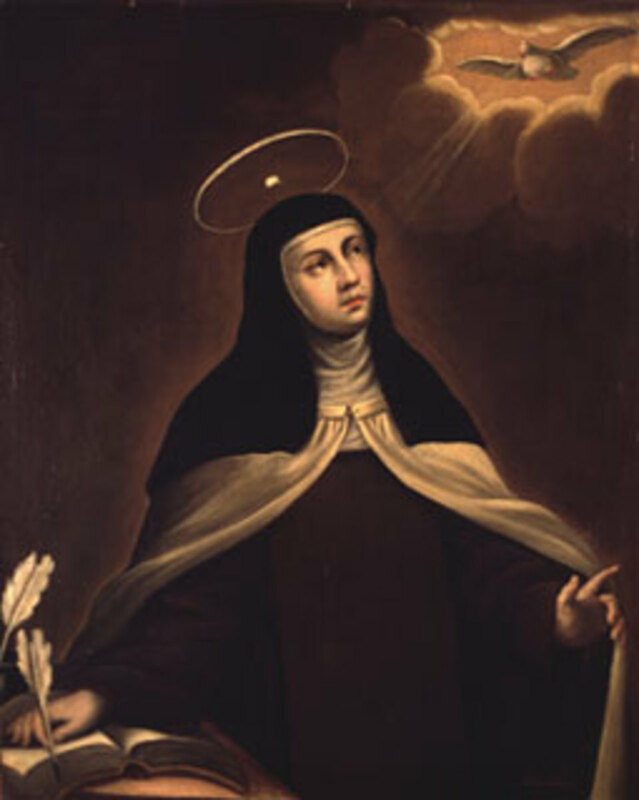 Saint Teresa of Avila was a Spanish mystic, theologian, author, Carmelite nun, and was given the papal honor of Doctor of the Church after her death. She was born in Gotarrendura, in the province of Avila, Spain in 1515. Her baptismal name was given as Teresa Sanchez de Cepeda y Ahumada. During the Catholic Reformation of the 16th century in Spain, Teresa was a major figure. With John of the Cross she founded sixteen Carmelite monasteries and convents. Her determination and goal was to reform the Carmelite Order and revive the early strict rules that had gone lax over the years. The result was the Discalced (barefoot) Carmelites religious order. Alonso Sanchez de Cepeda and Beatriz de Ahumada y Cuevas were Teresa's parents. They were both pious Catholics and each in their own way inspired Teresa to a life of prayer. Alonso was very strict and Beatriz was encouraging and gentle. As a child, Teresa was very intrigued with the saints. Their lives fascinated the young girl. The martyrdom of some of the saints gave Teresa the romantic desire to become a martyr and die at the hands of the Moors. Her brave journey to death was halted when her uncle saw Teresa and her brother outside the walls of town on their way to the mountains where the Moors were. He immediately took them back home. Teresa was born in Avila in 1515. Teresa died in Alba de Tormes in 1582. 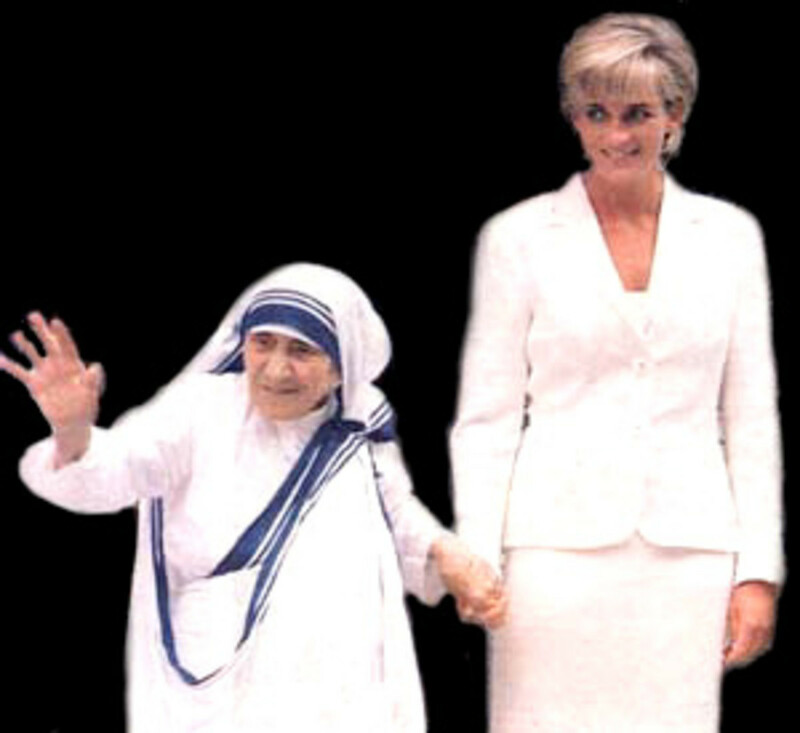 Teresa and her mother were very close. With the warmth and caring Beatriz provided to her daughter it gave Teresa a sense of balance to the strictness from her father. To raise Teresa as a devoted Christian was the aim of both parents, one stern and demanding, the other gentle and loving. Beatriz died when Teresa was a young teen, which left a great void in Teresa's life. Gone was the one who gave her a sense of self-worth, reverence and courage. In despair, Teresa did the only thing she knew would give her the courage to go on. Her natural instincts lead her to the Holy Virgin, her Spiritual Mother. I threw myself down in despair before an image of the Mother of God. 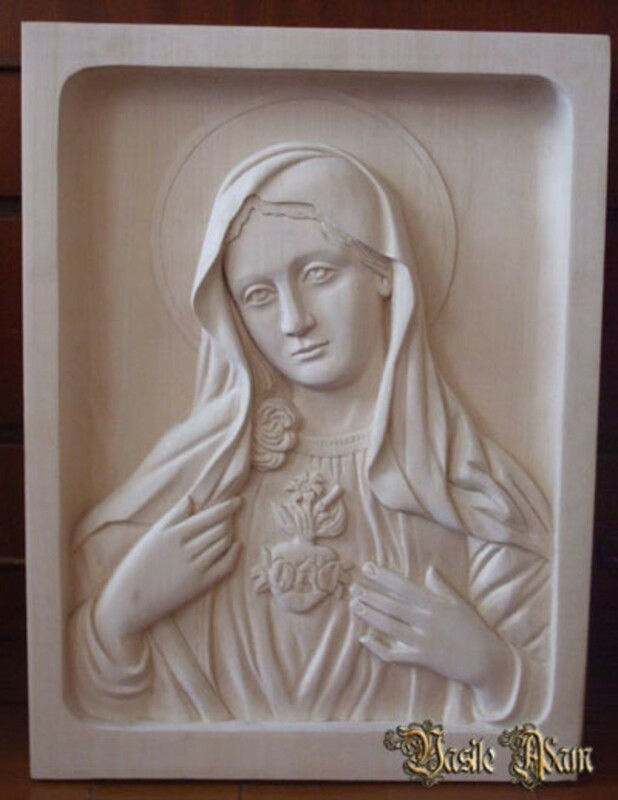 With many tears, I implored the Holy Virgin to become my mother now. Uttered with the simplicity of a child, this prayer was heard. From that hour on, I never prayed to the Virgin in vain. There was a short time after the death of her mother and turning to the Mother of God for consolation when Teresa went through a period of distancing herself from her earlier religious enthusiasm. She was charming and had a great personality which made it easy to make friends. She enjoyed the camaraderie, attention and compliments from others. Even though she enjoyed her social life, Teresa soon realized she no longer had inner peace. In contemplation she felt she was a miserable sinner. When she was sixteen her father sent her to the Augustinian Convent in Avila for education - it was the best thing he could have done for her. Living in the convent gave Teresa the confirmation that she had done the right thing to return to her religious path and embrace her spirituality. She made the decision to become a Carmelite nun. The convent was overcrowded and Teresa had difficulty in finding the alone time she needed for contemplation and reflection. She made the decision to become a Carmelite nun and devote her life to prayer and God. Not long after she was initiated as a nun Teresa came down with malaria and was seriously ill. She suffered great pain and there were times the nuns feared Teresa would not make it. As she suffered with intense pain she began to have divine visions and an inner peace which helped her rise above and go beyond the bodily pain. I bore these sufferings with great composure, in fact with joy, except at first when the pain was too severe. What followed seemed to hurt less. I was completely surrendered to the will of God even if He intended to burden me like this forever….. The other sisters wondered at my God-given patience. Without Him I truly could not have borne so much with so much joy. Teresa overcame the illness and returned to her prayers with renewed energy, yet the effects of malaria left her in frail health the rest of her life.. Her visions became stronger, but when she related these spiritual experiences to others she was told by clergy the devil caused delusions within her. This dampened her confidence to continue with prayer. For several years Teresa was uncertain about her spiritual path. At the age of 41 Teresa returned to praying when she met a Priest who encouraged her to continue on. Her previous passion was lacking at times yet it did return and her unity with God grew stronger. In her biography she wrote there were times when in deep divine contemplation her whole body would levitate. She did not want public notice of this happening and asked other nuns to hold her down when in that state. 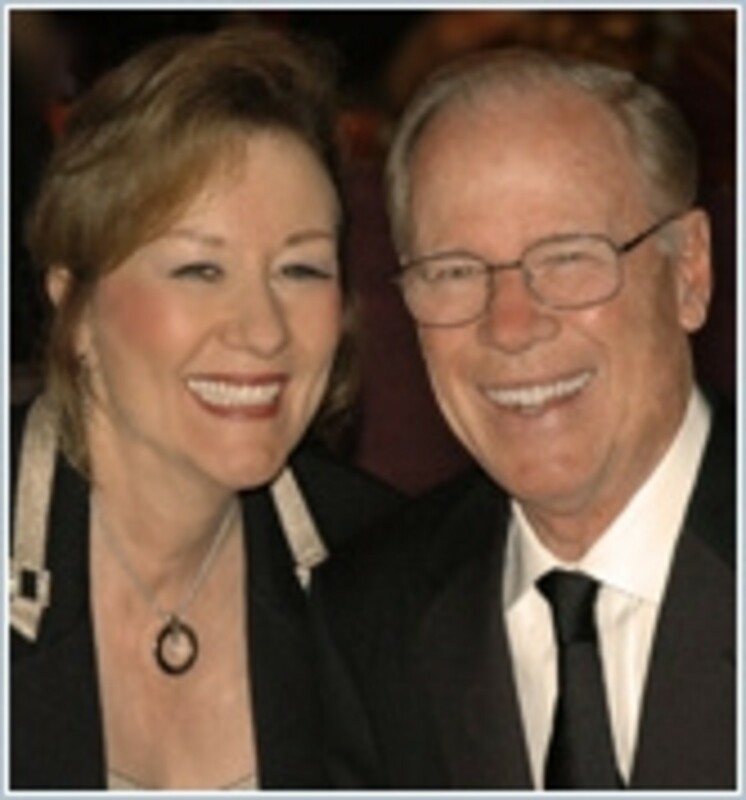 Teresa was admired for her quiet and serene demeanor plus her natural charm. Yet many did criticize and looked upon her with suspicion. She had to be careful about expressing her joy with her visions and ecstasies because she lived during the time of the strict observation of the Spanish Inquisition and very few could either not understand her unions with God or did not want to admit they did. Teresa's divine ecstasies and rapture occurred when she was entranced and unconscious of the material world. Her contemplation in prayer led her to Union with God and an exalted consciousness when in the state of being one with the Absolute. 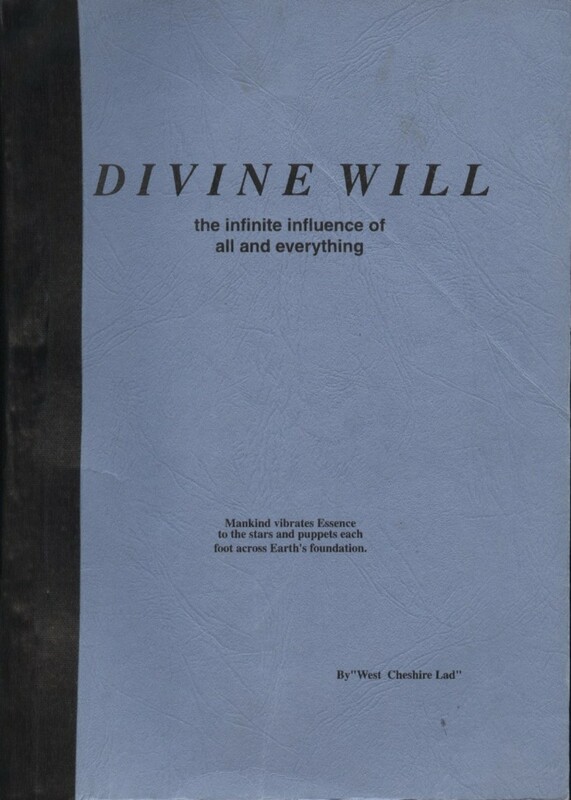 Author Evelyn Underhill (December 1875 - June 1941), English Anglo-Catholic writer and pacifist known for her numerous works on religion and spiritual practice, wrote extensively on Christian mysticism. All mystics agree in regarding such ecstasy as an exceptionally favourable state; the one in which man’s spirit is caught up to the most immediate union with the divine. During the Catholic Reformation of the 16th century in Spain, Teresa was a major figure. With John of the Cross seventeen Carmelite convents were set up, all but one founded by Teresa. Teresa had become more and more unhappy with the relaxed atmosphere of the Carmelite Monastery of the Incarnation in Avila. 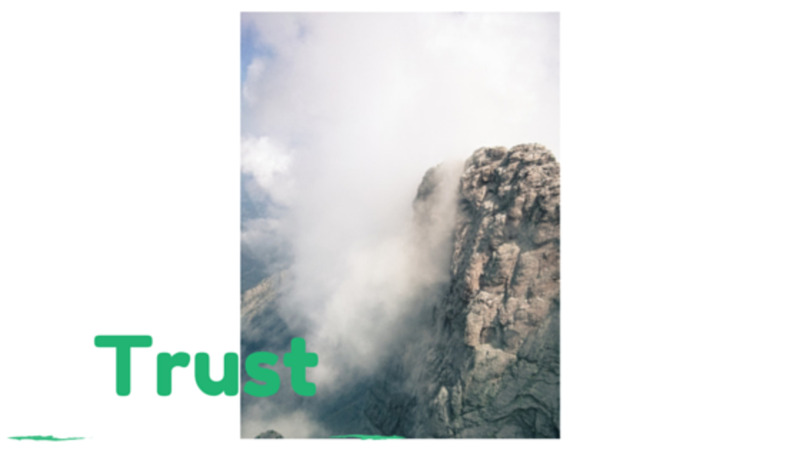 Each day outside visitors would come in with concerns of no value or purpose and sit around in conversations that disrupted the solitude that was so essential to the reason nuns were living there, mainly contemplative prayer. She felt in her heart that something must be done to change this disturbing atmosphere in a place that was for provided for the strengthening of spirit and daily prayer. These thoughts were so strong on her mind that she felt the need to find expression. In early 1560 she met Peter of Alcantara, a Franciscan priest, who became her spiritual guide and counselor. 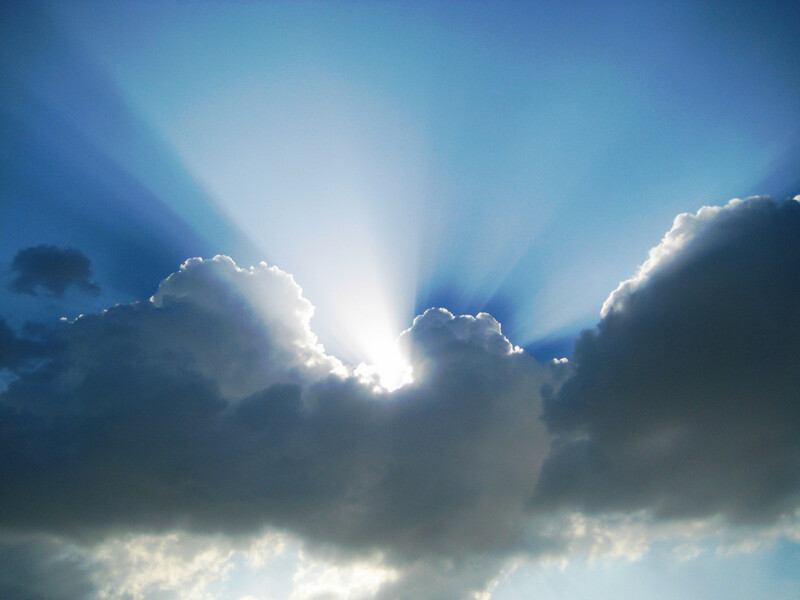 Saint Peter inspired Teresa to put her thoughts into action. 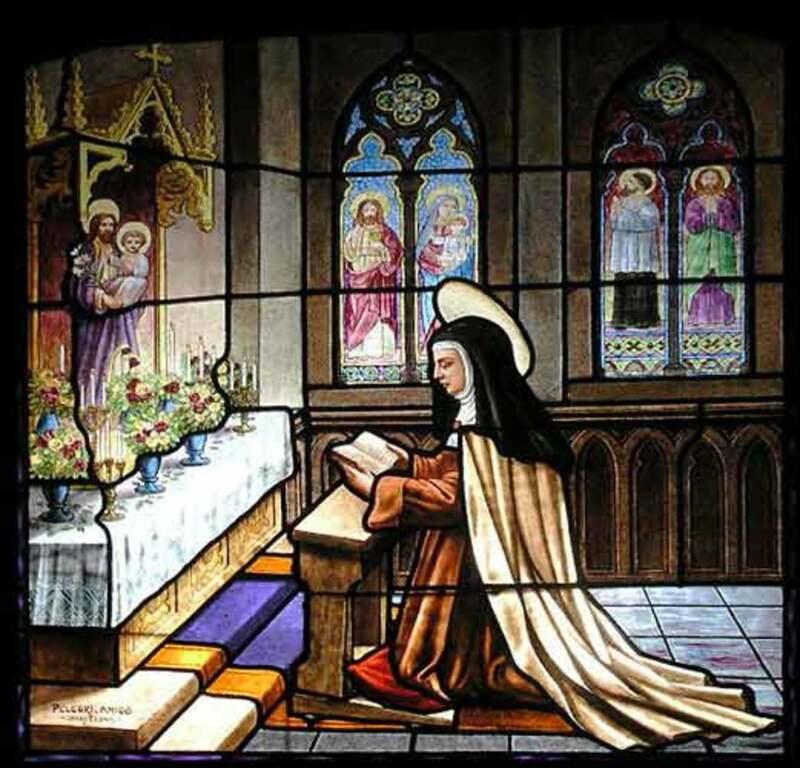 This was the beginning of her determination and goal to reform the Carmelite Order and revive the early strict rules that had gone lax over many years. The result was the Discalced (barefoot) Carmelites religious order. She also set up several houses for men who wished to learn and adapt to the reforms. 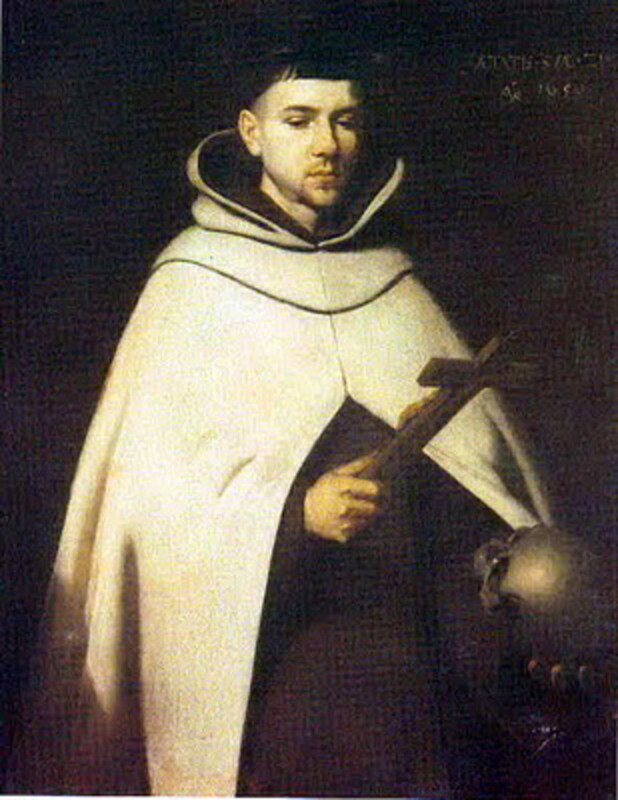 John of the Cross established the inner life of the men's houses. The first monastery Teresa and John set up was St. Joseph's. They opened it in 1562 and Teresa moved into the little house the following year. At first the community grumbled about the drastic change to absolute poverty, the strict rules on visitation and total release of the material world which the new order adhered to. However, some powerful patrons, the bishop among them, gave Teresa and John the support they needed. For the first five years at the monastery, Teresa lived in seclusion and devoted her time to writing. Teresa's health had been frail since her early illness with malaria. Still she dedicated the rest of her life to establishing new convents throughout Spain. At times living conditions for her were very poor and it was a difficult task, yet she carried on with unwavering devotion. 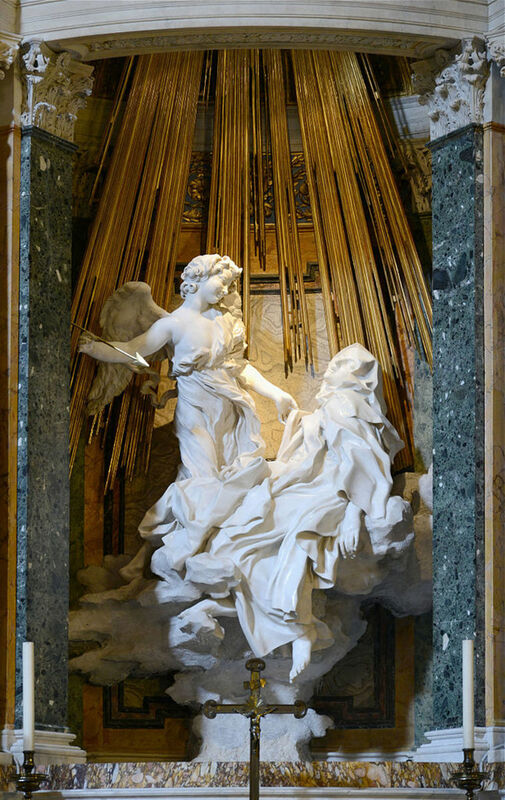 St. Teresa died October 4, 1582. She died at a convent she founded in the town of Alba de Tormes in western Spain. Pope Gregory XV canonized Theresa in 1622. Pope Paul VI gave Saint Teresa of Avila and Saint Catherine of Siena the honored title of Doctor of the Church in December of 1970 for their contributions to the Church. They are the first two women to have received this papal honor. 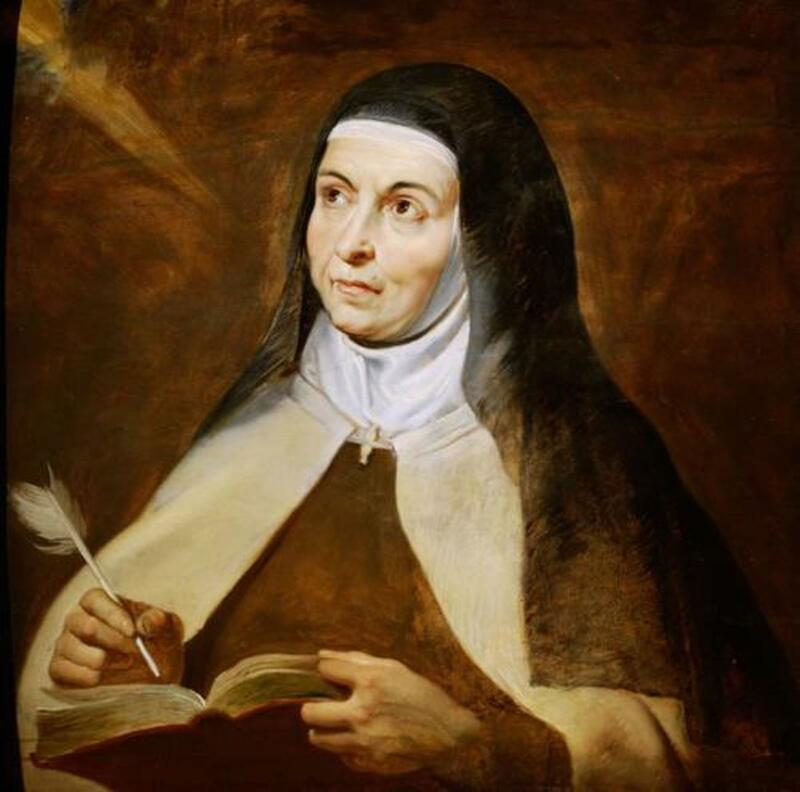 The writings of Saint Teresa, which include "The Way of Perfection" and "Interior Castle" are of major importance and legacy to Christian mysticism. Spiritual Teachings of a Philosopher Poet. Hi Kitty. What an interesting thought process you have on Teresa of Avila. I did not see it that way, but now that you mention it I have seen that in the shamanistic belief. Such deep thoughts you have. I am happy you enjoyed reading about Teresa. Thank you so much. Yes, I have read about Hildegard of Bingen and have her on my list of article ideas. 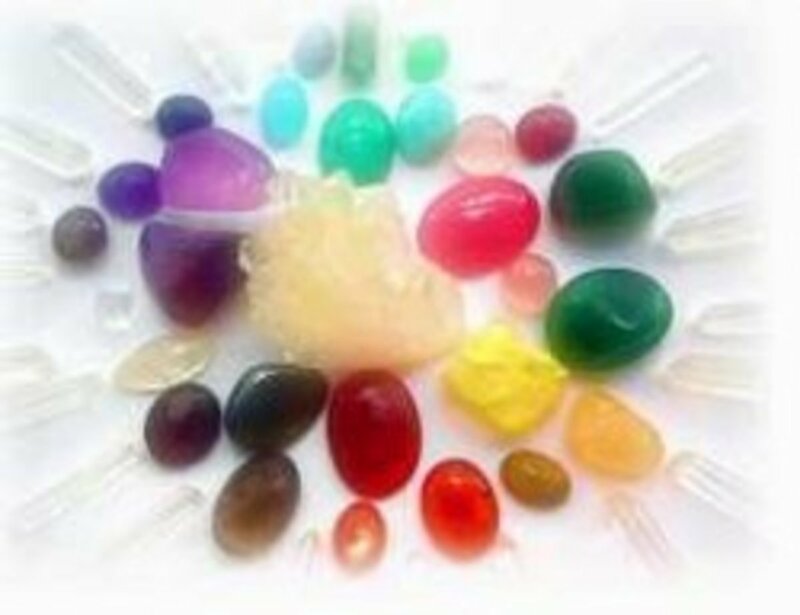 I do believe, if I remember right, that a line of herbal lotions and creams came out several years ago that was based on the recipes Hildegard of Bingen created.. My brother is a manager in retail and he told me about that. He sold that line in his store. I will ask him about this. It sounds to me like Teresa of Avila's vision of being poked in the heart and entrails was her initiation into becoming a "shaman". At least, when other cultures' shamans were initiated into their role as healer/shaman/witch doctor, the majority of them had visions or dreams in which they would be torn from limb to limb or mutilated in some way. They had to essentially "die" to their old self to be reborn into their new self. Very cool stuff. I enjoyed reading about Teresa and didn't know about her prior to this hub. I have a fascination with Hildegard of Bingen...do you know about her? Hi Mihnea and thank you for reading and commenting. Teresa of Avila was indeed a very interesting person. Thanks again. Very interesting article!I am not Catholic but I liked the way this article was written and I enjoyed reading about this personality I did not know anything of before. You are welcome, Marie. Thank you for reading and commenting. I enjoyed reading this, Phyllis, after beginning my morning with a New Age Rosary. I have thought countless time about taking Holy Orders, but apparently this is not God's plan for me in this lifetime. I look forward to the day when I, too, can levitate. I've had dreams wherein I'm doing just that, but am not aware of any physical expression of this trait just yet. Have a beautiful and wonderful day, and thank you for sharing this information on Saint Teresa. Hi Mary. I am really happy you enjoyed Teresa of Avila's story. Yes, she was quite remarkable. I was happy to have found the images of her. Thank you so much for reading, commenting, voting and sharing - I appreciate that so much. My knowledge of the Saints is very limited, so I really enjoyed learning about this Saint, Teresa of Avila. The photos you included are just beautiful, and I like her quotes. She was truly a remarkable woman. Hi poetryman. Thank you very much for your kind words. Yes, I imagine it is a lot different now in Spain as it was in St. Teresa's time. She was quite fortunate to not have been a victim of the Spanish Inquisition as so many of her brothers and sisters of the Church. I am glad you liked the artwork and story. Thanks again for the visit and comment. The artwork is beautiful and the story is interesting. It is fascinating to see the familiar place names in Spain in a different light. I was reminded that even today some young people go running off to religious wars for a romantic ideal that exists only in their own heads. Hi Dolores. You are most welcome and thank you for visiting and commenting. Teresa of Avila wrote her own biography and it should be a good read - I would like to get it myself. She was a very dedicated and important woman, a major figure during the Catholic Reformation. She had strong backing for her ideas and the convents she founded. Thanks for the votes and share. Thank you so much, Mary. I am really glad you paid this hub a visit and really appreciate your comment, it means a lot to me. Teresa's story really captured my heart. Thanks again. There are many stories of Saints in the Catholic Church and I'm sure other holy people in other religions. Having been brought up in the Catholic Church though I am more aware of the Saints. As children we were taught about the Saints as examples of people who loved God devoutly. Truly Theresa of Avila was a Saint and worthy of the title. You have done a nice job of recounting her life and holiness. You are most welcome, Jodah. I am very happy you came by to read and comment. I want to write about John of the Cross next (there is something about him that has just touched my heart so deeply). Like St Tersa, St. John was deeply mystical and spiritual. Thanks so much, Jodah. Awww, Faith / Theresa, you are for sure her namesake in many ways. I believe you about the joy to be found in our trials and tribulations. I went through a major change just before, and after when recovering from my back surgery and going to therapy to learn how to walk and gain back strength. I understand the joy that is there with every day of suffering, for I knew every pain and every new step was to teach me so much. I learned a lot about myself and the ways of my Heavenly Father. You have struggled and came through with joy that shines out for all to see. Bless you, Theresa - you inspire me. Yes, I like Teresa's quotes also. I would love to get her biography. Thanks for reading and commenting. This was a delightful and interesting read Phyllis. I knew nothing about this Saint Theresa of Avila before. Thank you for sharing. Fascinating read here, Phyllis, on St. Teresa. Oh, she is a woman I can so relate too actually, as far as a fervent prayer life and closeness to the Lord God. I understand her too for when cancer was found, I had no fear and just knew the Lord God would heal me and I experienced such peace like never before in my life ... as relates to whether or not God would heal me, for I was okay if my body would have been ravaged with cancer. However, that was not His plan. In His Word, he tells us to count it all as joy when we face many trials, which is a hard thing to grasp, but we know through all of that, He is making us stronger for things yet to come our way. I enjoyed all of her quotes you have included here, especially love the last one. Hi whonu. You are most welcome. Teresa's story is very inspiring - it took me almost a week to write it and find pictures because I was so enthralled and kept reading as much as I could. What a strong woman she was. Thanks so much for stopping by to read and comment. Hi linfcor. Thank you so much. I am so glad you enjoyed it. She was a remarkable person, very dedicated and determined. Thanks again. Hi Alastar. Yes, she could levitate. She would have her sisters (nuns) hold her down or sit on her if she went into a trance when in public. She did not like public displays of this. She had tremendous visions. Thanks, Alastar, for the visit and commenting - I so appreciate it. I would like to read the book you read. Do you have the title? I would also like to read the books she wrote. Sorry for the delay in reply to you. We had some excitement here with a massive thunder storm and very heavy rain that flooded my patio. I cannot stay inside when that thunder comes along. I love to be outside and watch the lightening, listen to the thunder and be a part of it. My neighbor banged on my door just as I approved your comment and off we went to watch the storm with mugs of hot mocha. So exciting. Thunder is still rumbling a little further away now. Thanks again, Alastar.